Chaos Monkey for Spring Boot | This project provides a Chaos Monkey for Spring Boot and will try to attack your running Spring Boot App. This project provides a Chaos Monkey for Spring Boot and will try to attack your running Spring Boot App. What does Chaos Monkey for Spring Boot do? What is the goal of Chaos Monkey? Inspired by PRINCIPLES OF CHAOS ENGINEERING and by my work in distributed systems, with a focus on Spring Boot, I wanted to test the resulting applications in more detail and especially during operation. If you start to implement Chaos Engineering at your company, then you must be a very social and communicative person. Why, because you will get to know many of your colleagues personally in a very short time when your chaos experiments strike. Are your services already resilient and can handle failures? Don´t start a chaos experiment if not! Check your monitoring and check if you can see the overall state of your system. There are many great tools out there to get a pleasant feeling about your entire system. Define a metric to check a steady state about your service and of course your entire system. Start small with a service that is not so critical. The best place on earth is…production! …so let’s keep production as the best place on earth and look for our first experiences on another stage. If all goes well and your company is further on to you, run it in production. What does the Chaos Monkey for Spring Boot do? Spring Boot Chaos Monkey is a small library (30kb) and you have the following options to integrate the Chaos Monkey into your Spring Boot App. Start your application with the Spring Profile chaos-monkey to initialize the Chaos Monkey. Since version 1.5.0 and 2.0.0 it will not start attacks on your application yet, you can activate this dynamically at runtime. As long as you don’t set the property “chaos.monkey.enabled” to “true”, nothing will happen! As you can see, you don’t have to change the source code! Since version 1.5.0 and 2.0.0 the Chaos Monkey for Spring Boot can be configured at runtime via a Spring Boot Actuator Endpoint. Take a look at the current snapshots and documentation. By configuration you define which assaults and watcher are activated, per default only the @Service watcher and the latency assault are activated. 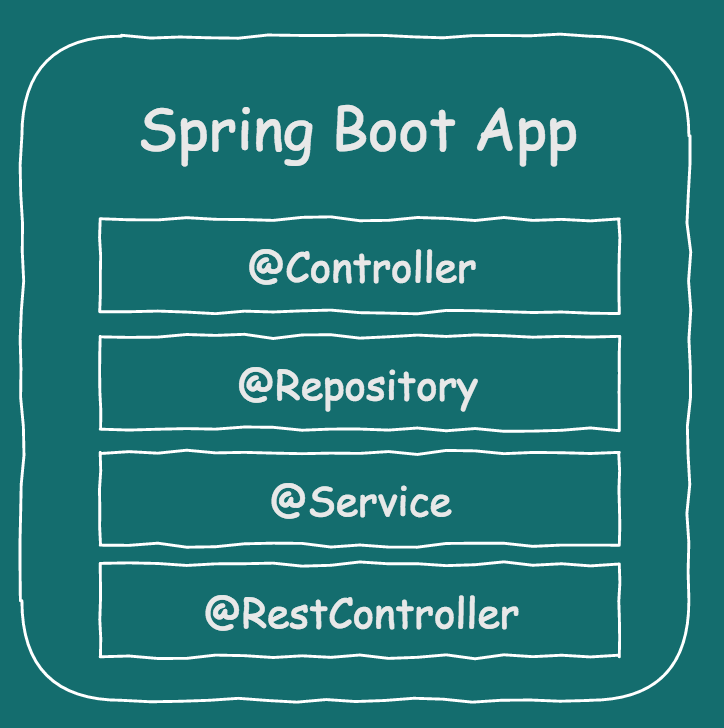 Let’s say you built a standalone Spring Boot application. For example, there is a service annotated with Spring @Service annotation and some other components. Now we want to attack our service component. Let´s activate Chaos Monkey for Spring Boot, only 2 steps are required. Added Chaos Monkey for Spring Boot to your dependencies. Chaos Monkey for Spring Boot will attack your @Service classes and will randomly add some latency to all public methods. There are some more assaults and watcher, that can attack your app. You can customize the behave by configuration, please take a look at the documentation. Chaos Monkey for Spring Boot versions will follow the versions of Spring Boot. The first number of the Chaos Monkey release will show you which is the right one for your Spring Boot version. A detailed documentation about the configuration of the Chaos Monkey for Spring Boot can be found here. chaos-monkey-spring-boot is maintained by codecentric. This page was generated by GitHub Pages.